ClipDifferent Pro, an automatic nail clipper, was specifically designed for individuals with one upper limb, limited hand dexterity or vision impairment. The safe fingernail slot prevents skin from coming into contact with the trimming mechanism. It also catches the nail clippings in a drawer, eliminating the mess of flying fingernails. Although the ClipDifferent Pro was designed for individuals with disabilities, any adult can use it! The smooth clipping device even eliminates the step of having to file your nails. Mentoring and connections at the Impact Hub helped TJ and the whole team at ClipDifferent, a general benefit corporation, meet crucial community leaders to help develop and advise their entrepreneurial business plan.They are excited to participate in MN Cup this year because their major goal is to get these products into the hands of people who need them. In the next few years, the ClipDifferent team has more products being developed to address different niches. 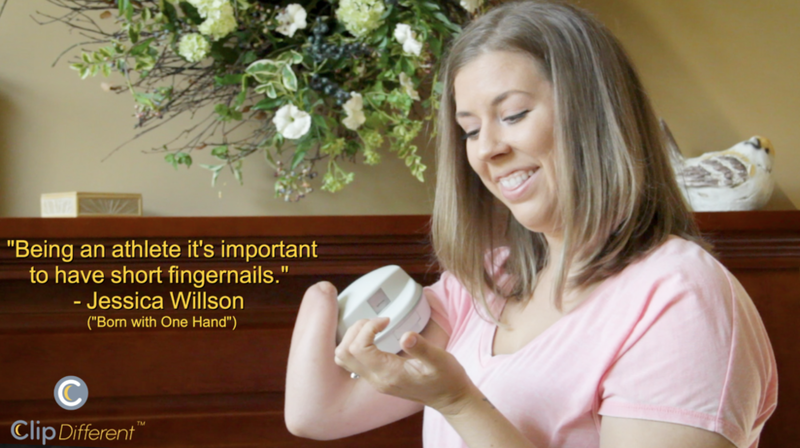 “Seeing the face of someone using our product for the first time is so rewarding,” says TJ. The ClipDifferent Pro gives individuals independence and control. It’s important to the ClipDifferent group to do what they can to make life just a little bit easier.